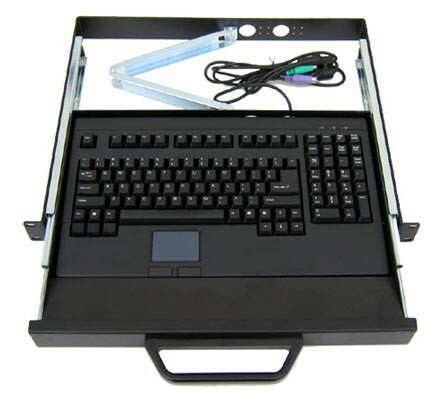 The RACKMUX® Low Cost Rackmount Keyboard Mouse Drawer combines a USB keyboard and touchpad mouse in a space-saving 1RU industrial strength drawer. 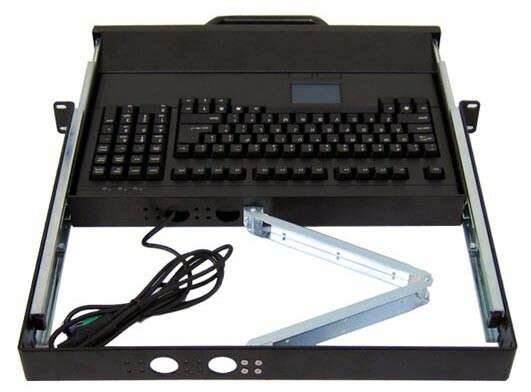 Also known as: rackmount keyboard, rack mount keyboard shelf, rackmount PC keyboard drawer, rackmount USB keyboard mouse drawers, rack mount PS/2 keyboard, USB keyboard mouse rack tray. 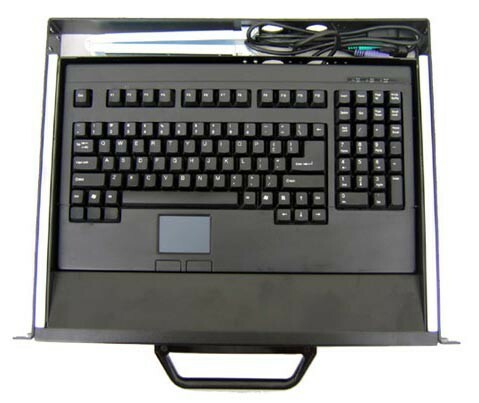 The RACKMUX® Low Cost Rackmount Keyboard Mouse Drawer combines a PS/2 or USB keyboard and touchpad mouse in a space-saving 1RU industrial strength drawer. Available in PS/2 and USB models. Keyboard extends 14.63" from front of rack. PS/2 keyboard integrated with touchpad. Compatible with all PS/2 computers. Built-in cursor keys and numeric keys. USB keyboard integrated with touchpad. Compatible with USB PC computers. Drawer does not lock into position when pulled out. Operating temperature: 32 to 131°F (0 to 55°C). Operating humidity: 10 to 95% RH.